This office specializes in the treatment of general medical diseases. Our mission is to provide a compassionate environment to address your medical concerns. This office will serve as a liason between state of the art medical innovations and our patients as health care has become both complex and rapidly changing. We believe strongly in preventative heath care and we look forward to meeting you. Doctor: Daniel W. Sawyer M.D. Daniel W. Sawyer M.D. received his undergraduate degree from Johns Hopkins (phi beta kappa) in micromolecular biology. He graduated from Tufts New England Medical Center (AOA) in 1981. He served as medical intern and resident at New York Hospital and Memorial Sloan Kettering. He did research at the Rockefeller University on leprosy. He received infectious disease training at UVA. He also served as assistant chief medical resident at Memorial Sloan Kettering. He received infectious disease training at the University of Virginia Medical Center. He was an infectious disease fellow at the University of Virginia from 1984-1987 and participated in research on intracellular free calcium localization in polymorphonuclear neutrophils, which was published in Science. He is board certified in Internal Medicine and Infectious Diseases. Kim received her BSN from the University of Wyoming and her Masters in Nursing from the University of Colorado. A retired Army Nurse Corps Lt. Colonel, Kim finished her military career in 2000 at Walter Reed Army Medical Center in Washington, DC. As a member of Dr. Sawyer’s team since 2008, Kim has enjoyed serving and caring for our many patients. She is married to a retired Army JAG attorney and has two grown sons. At six feet tall, Kim frequently “oversees” Dr. Sawyer! Married with two children. She was born in Beijung China. She attended the General Army Hospital before coming to the USA. Heather joined Dr. Sawyer’s team in early December 2017. She is married with 2 children. Before coming to work here she worked as an Office Coordinator at a local physical therapy office. 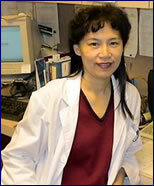 She also processed medical claims and worked collections for a local third party billing company in the Pantops area. Outside of work she enjoys spending time with her family, hiking, painting, and traveling. She is married with 3 children. She is a microbiology technician who has mastered the insurance claims process.